The current version of the Dodge Grand Caravan doesn't meet new side airbag regulations that went into effect Sept. 1. WINDSOR, Ont. 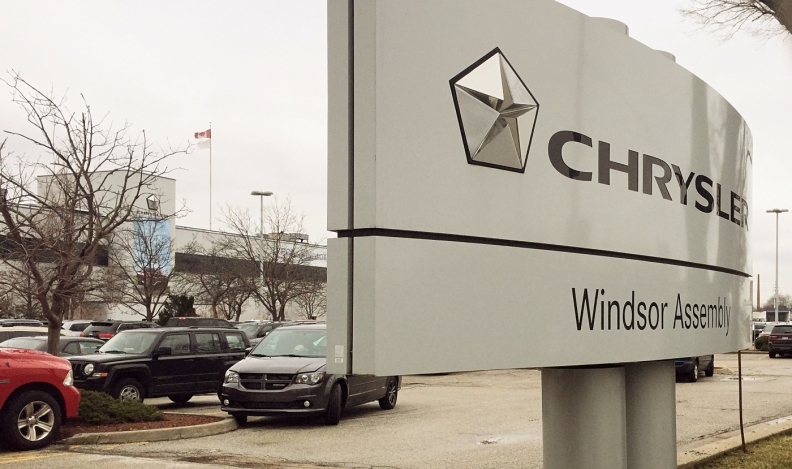 -- Fiat Chrysler Automobiles will idle its Windsor Assembly Plant for five weeks for retooling to ensure the minivans it makes meet new U.S. safety standards. Unifor Local 444, which represents about 4,000 hourly employees at the factory, says the plant will be shut down for five weeks, tentatively beginning Oct. 2. Through its contract with Unifor, FCA Canada has the right to change the dates of the downtime up until Sept. 27. The current version of the Dodge Grand Caravan doesn’t meet new side airbag regulations that went into effect Sept. 1. So, the automaker has to make changes on the shop floor in order to install airbags that meet the new standard. U.S. Federal Motor Vehicle Safety Standard 226 requires manufacturers to modify side-impact air curtains, making them larger to more fully cover window openings and more robust so that they stay inflated longer. The new standard also requires that side-curtain airbags deploy in the event of either a side-on collision or a rollover. The rule was adopted in 2011, with a phase-in beginning in 2013. The new Chrysler Pacifica minivan, which replaced the Town and Country, has always met the standards. And, the new safety rule doesn't affect Grand Caravans bound for Canada because the Federal Motor Vehicle Safety Standard is only applicable in the United States. The automaker has produced enough U.S.-bound Caravans and Pacificas throughout the summer to offset any stop in production this fall, Unifor said. FCA had a 108-day supply of the Pacifica on Sept. 1 in the United States, according to data from Automotive News. That’s up from 89 days of supply on Aug. 1 and 69 days on July 1. FCA also had a 19-day of supply of Caravans on Sept. 1, down from the 36 days on Aug 1, but up slightly from the 18 on July 1. Days of supply aren’t tracked in Canada. The more expensive Pacifica is by far more popular among U.S. consumers while it’s the reverse in Canada. FCA Canada said in a statement it issued to Blackburn News in Ontario that the fall shutdown is related to the “temporary production suspension of the 2017 Dodge Grand Caravan for the U.S. market only. FCA Canada didn’t respond to calls or emails placed by Automotive News Canada. U.S. dealers were told in June to stock up on the Dodge Caravan because because after August, they wouldn't receive any additional stock for at least seven months. The dealer communication indicated that there would be “no Grand Caravan production" until December, when output of the 2018 model year Grand Caravan will begin.